In case you’re still befuddled, check out the delightfully off-center comedy Parks and Recreation, led by the amazing Amy Poehler as Leslie Knope, a perky, mid-level bureaucrat in the Parks department of fictional Pawnee, Indiana. A great ensemble cast, sharp and witty writing and characters that are both funny and real, this is a laugh-out-loud comedy with a big heart. 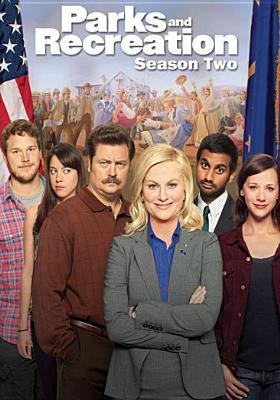 If you haven’t yet had the pleasure of watching Parks and Recreation, you’re in luck – the Davenport Library has all six seasons available on DVD (the seventh and final season of the series is running now with the final episode scheduled for February 24th – we’ll be getting that season on DVD as soon as it’s available) And the episode that introduces Galentine’s Day? Season 2, episode 16. In case you’re wondering, Galentine’s Day has become real – you can buy Galentine’s Day cards for your BFFs and the internet and Pinterest are full of ideas for gifts and parties for your gal pals. And don’t worry guys – the celebrations are appropriate for you too! Friends are important no matter your gender. Now go out there and celebrate your friends (preferably over breakfast)! Bad Behavior has blocked 1833 access attempts in the last 7 days.